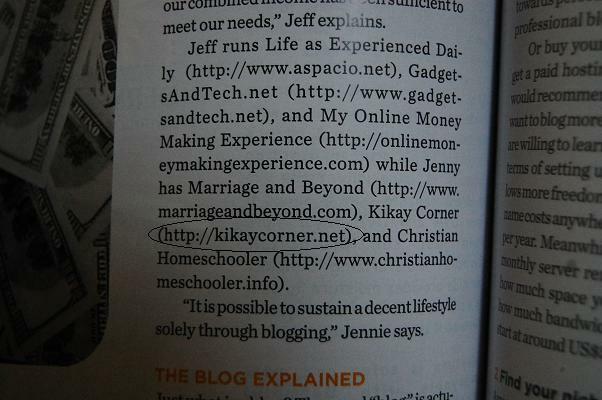 The hubby and I were interviewed by Rowena Wendy Lei last December for Good Housekeeping March 2010. And I was finally able to get copies yesterday! Yey! It is our first time to be featured and allow us to just relish the moment! The hubby and I basically talked about how we ventured into monetizing blogs and shared some bits and pieces how we make money online. The article is pretty lengthy. Here’s just to give you a peek..